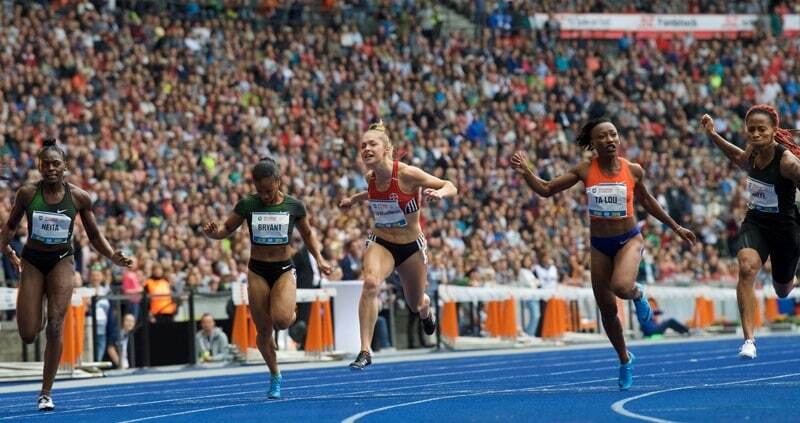 Golazo Group agreed strategic partnerships in ISTAF Berlin, Germany’s largest athletics event, and La Parisienne, the long-running Paris city run exclusive to women. New partner for Germany’s oldest and biggest athletics meeting: the Golazo Group and TOP Sportevents GmbH, which organizes ISTAF, the international stadium meeting which was founded in 1921, and ISTAF INDOOR, established in 2014, are to join forces with immediate effect. This strategic partnership combines the strengths of two experts in the field of innovative athletics events. The Golazo Group organizes numerous athletics events in Belgium, France, Germany and the Netherlands, including meetings in Brussels (Diamond League) and Liege, the Night of Athletics in Heusden-Zolder in Belgium as well as Cross Country races and Marathons in Rotterdam, Brussels, Düsseldorf and other European Cities. At the head of the Golazo Group is the former Belgian international athlete and Olympian Bob Verbeeck. Henceforth Golazo will be a partner of TOP Sportevents GmbH, which organizes ISTAF and ISTAF INDOOR. Martin Seeber will continue to lead TOP Sportevents GmbH as well as being head of TOP Sportmarketing Berlin GmbH in addition to his role as meeting director of both ISTAF and ISTAF INDOOR. La Parisienne is another event steeped in a long and successful tradition. Early September over 24,700 women took part in the 23rd edition of this Paris city run, exclusively open to women. The seven-kilometre course, with a start and finish at the foot of the Eiffel Tower, meanders through the French capital along the banks of the river Seine and the Champs Elysées. The event champions the ideal that taking part is more important than winning and as such it has attracted a broad spectrum of female runners. Golazo France, with offices in Paris and Lyon, is the organiser of the half marathon of Disneyland Paris, manages athletes Renaud Lavillenie, Pauline Ferrand-Prévot and Vincent Luis and also handles the Olympic activation programme for Bridgestone France. Through its Lyon office Golazo France also plays a pivotal role in the market of recreational cycling. Its range of 15 recreational cycling events, including well-known names such as La Marmotte and Les 3 Ballons, attract over 42,000 participants per year.